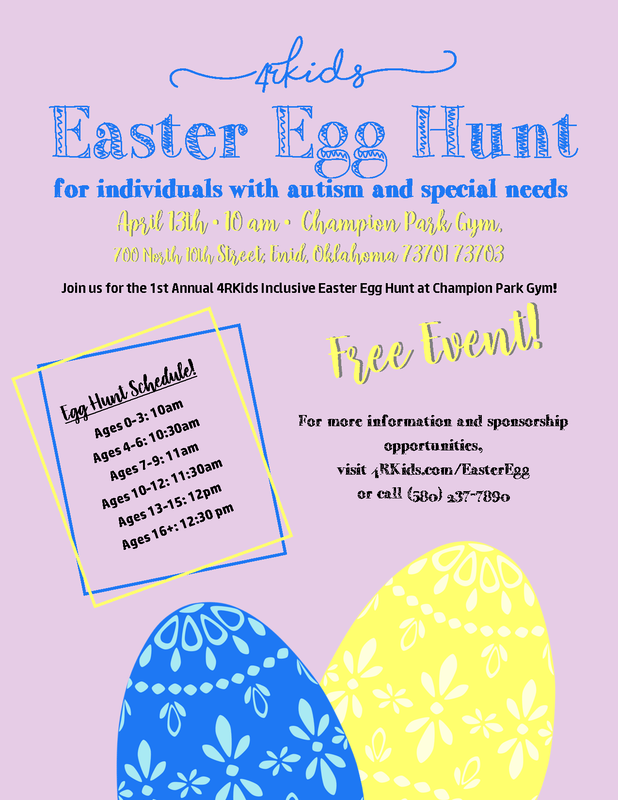 Join us for the 1st Annual 4RKids' Inclusive Easter Egg Hunt for individuals with sensory and other special needs. Egg hunters will be grouped by age and allowed to hunt for 30-minutes. Interested in being a sponsor? download the sponsorship packet! Contact Tricia by email at tmitchell@4rkids.com or by phone at (580) 237-7890 for more information about sponsoring.